It is common to find foxes in urban homes as well as in rural areas. They can, however be a nuisance in our city and suburban environments; scavenging for food and carrying mange, so people often opt to use fox control London services. Although they are timid in the presence of humans, it is still not advisable for you to let them stay in your garden or outbuildings. However, you just cannot just up and kill one. There are proper methods and guidelines for fox pest control. The British fox has a predominantly red-brownish colour to its fur. Most people like foxes, especially the cubs, and of course they are lovely creatures. That is why few people consider fox extermination as an option, and of course there are government restrictions on how foxes can be dealt with in any case. It is advisable to call in professional fox pest control to get rid of them in the appropriate and legal manner. Many people do not understand why the fox is categorised as a pest, especially because it is a large mammal. It is classified as a pest as it has predatory habits and it preys on sheep, pets and chickens, and because it causes mess when going through rubbish bins, and carries fleas and ticks. They can also cause digging damage to your garden. We use a number of control techniques such as trapping, baiting, proofing and culling. Normally, these pest control fox techniques are temporary and they do not have a permanent effect on the number of local foxes. Pest control measures take place within a 2-6 week period, and, through a strategic coordination, the control method has proven to be efficient. 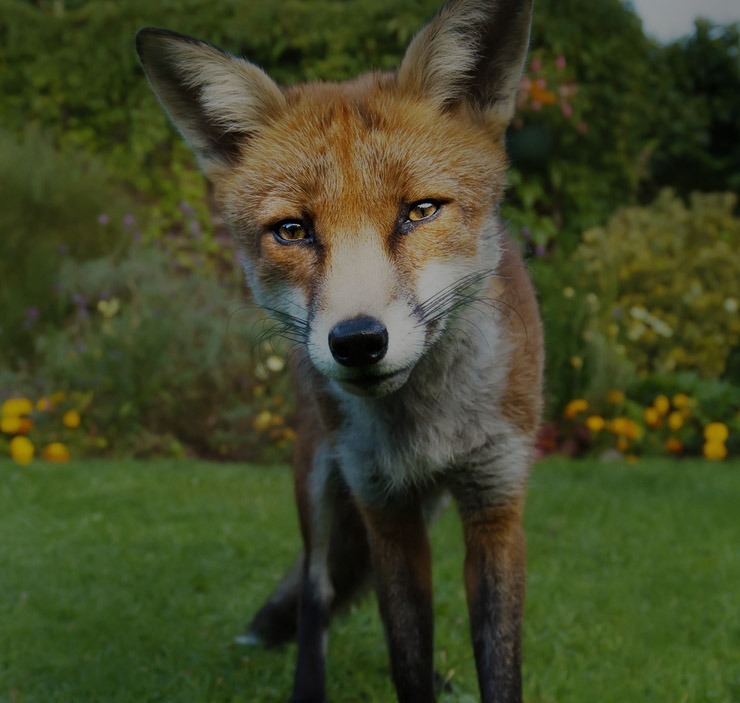 Our fox pest control London methods are humane and within the scope of legal guidelines. After successful control, we remove the foxes from the area through relocation or in the case of culling, by removing the carcass. Various methods of fox pest control include cage trapping, which is a popular method of getting rid of these pests. Alternatively, we can deploy wire-mesh cage traps in strategic locations in your garden. The client must be in a position to regularly check the traps – at least twice a day – and we take it from there. Once you let us know a fox has been caught, we come to your location and handle the trapped fox before resetting the trap. Proofing is one of the best means of fox pest control London. Here we proof buildings and sheds to block the fox from gaining access to your garden as well as stop them from digging up earth while creating a place for breeding and rearing cubs. If you live in a secluded area where there are foxes, we will erect a galvanised wire mesh to fence the entire patio to deny these unwanted visitors entry. We run this process only after conducting a thorough survey and an in depth risk assessment. We have to ensure that the site is safe and if not, we put measures in place to ensure that the garden is safe for culling. This method has proven to be a successful pest control foxes method and with our long experience, we can guarantee excellent results. We strictly dispose of carcasses as per the provision of the relevant authorities.